Time Limitations on the Right to File a Lawsuit In all states there is a time limit for filing a personal injury complaint. That time period is called the Statute of Limitations. It places a statutory time limit on an injured person bringing a legal action. In some states or territories you have as little as one year (Puerto Rico) and some other states give you as much a five years (Illinois – property damage). In both New Jersey and Pennsylvania, the Statute of Limitations is two years. This means you have exactly two years from the date of the accident to file a lawsuit. Minors have 2 years from their 18th birthday to file suit. In many circumstances, when serious injuries are involved an injured person may not have completed treatment within the two year period, but that does not toll, or pause, the clock from running. If you or a friend or family member is injured, he/she needs to act fast. Consulting legal counsel as soon as possible is the best way to insure you will be able to file a lawsuit and that the lawyer will have as much information as possible prior to filing the lawsuit. 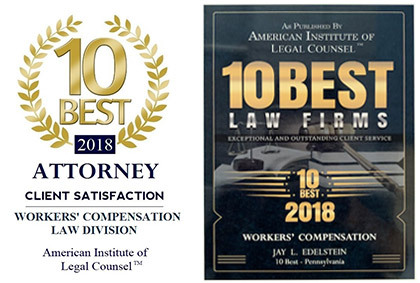 If you are injured and would like to discuss your potential case or the time period to file a lawsuit, feel free to contact Edelstein Law for a FREE CONSULTATION.